Every holiday we end up making at least a hundred cake pops for friends and family because they love them so much. 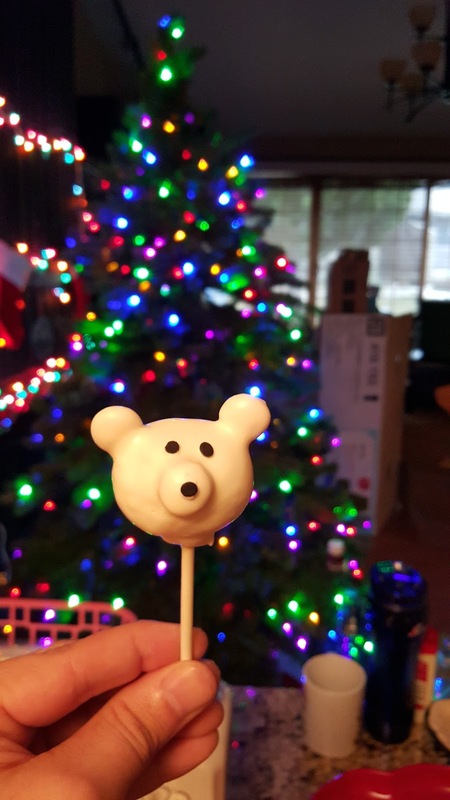 The one thing I have to say about making cake pops without using a cake pop maker is that they are super duper time consuming. However, making them all by hand makes them a million times better! Here's our method and some fun decorating ideas. Roll mixture in between clean hands to form smooth balls. 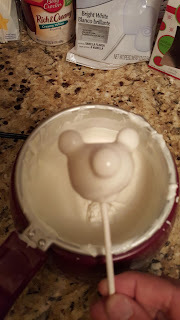 Yes, this is time consuming but it will make the most delicious cake pops you've ever tasted. Once all your balls are rolled, place them onto a sheet pan lined with parchment paper. Then place them in the fridge for about 2 hours. This step is very important to allow the balls to form. Once your balls are formed, melt your chocolate. We use Wilton candy melts as they come in a ton of colors and are easy to use. We have a chocolate melter but you can use the double boiler method or melt your chocolate in the microwave. Just remember not to burn the chocolate. We prefer the chocolate melter as it has a warmer setting that keeps the chocolate perfectly melted while we work with it. Take your lollipop sticks and dip the end in chocolate. Then dip the stick into your cake ball. Once all your sticks are in your cake balls, put it back into the fridge and wait an additional 2 hours before decorating. This is extremely important, if you don't set the chocolate, your cake will fall right off the stick when you go to cover it in chocolate. 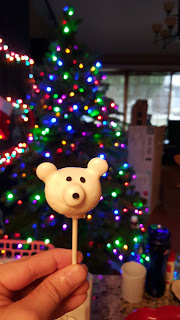 To make the polar bears, use melted white chocolate to "glue" on almond joy bites like the above picture. Use the tan colored ones so that they color does not show through the chocolate. Wait until chocolate hardens before continuing. Once your cake pops are ready, dip into the chocolate and gently tap off excess chocolate. Set into a lollipop holder (either bought or made at home) to let dry. Once they've cooled "glue" on little black sprinkles for eyes and noses. Use a food coloring marker to draw on a little smile. Use sprinkles and candies to make all sorts of other designs. Once cooled completely, cover with a treat bag, tie with a ribbon and make your friends and family happy with these cute cake pops! *Note, the polar bear idea was my husbands, he is a lot more creative (and patient) then I am when it comes to decorating the cake pops! These look so yummy! If I'm ever in the states we need to make these together. Great post my wonderful friend, I hope you have a great week beautiful! Kim, you and your husband are amazing! These are absolutely adorable! 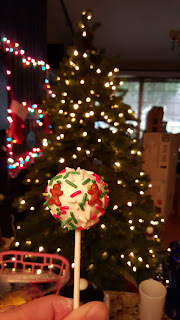 Can you believe with all my baking and cooking, I have never attempted cake pops! You just gave me the motivation and how lucky are all your friends and family to receive these from such a loving and wonderful couple! These are absolutely adorable! Thanks so much for sharing! I can't believe you are still making these after all these years! You are so patient... wait 2 hours for chocolate to cool??? Yea, that would not happen in my life! The cake mixture/dough would all be eaten by me before step 2! Love ya chums! Ahhhh these are so cute I want them!!!! Hey there little miss " I'm not good at difficult DIYS ! " I beg to differ, these are amazing and so so cute and oh my gosh they look so so yummy ! 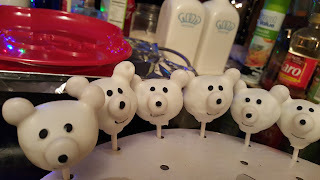 I am loving the polar bears ( 10 points to your husband for the idea ) Every Saturday me and my best friend bake something and we couldn't work out what to do this week, so this is that problem solved ! 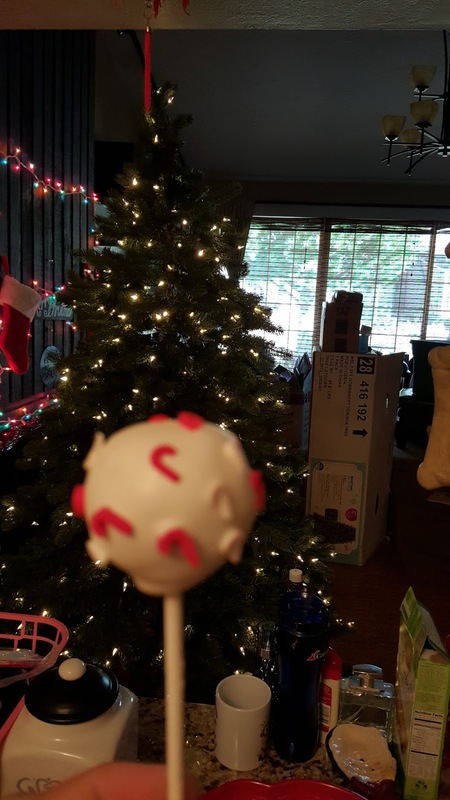 She can make really cute cake pops , and I can eat whatever she's trying to use haha :) Really great post kim, I've really enjoyed it ! HOLY SKILLS!!! These are the cutest cakepops I've ever seen, and you actually made them look doable (I have zero baking skills haha). Love! These turned out amazing Kim! What a cute idea for the holidays and also for gift giving. 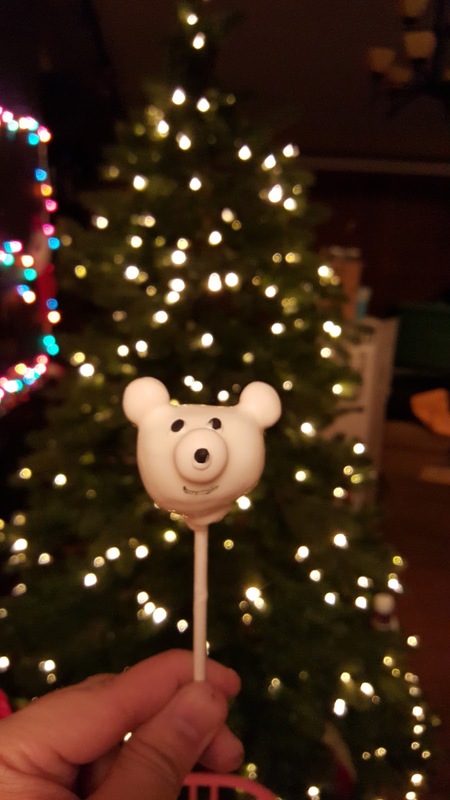 I love that your husband came up with the bear idea. Now I am inspired to get in my kitchen and start baking some holiday treats! What a lovely tradition! 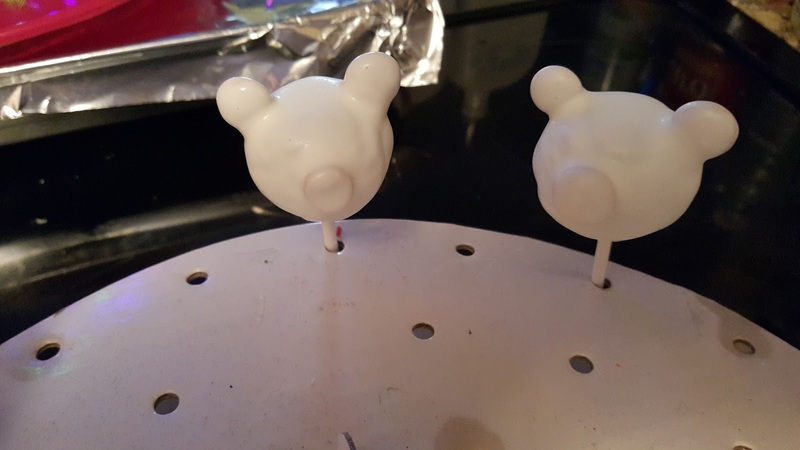 I've always wanted to make cake pops but I keep forgetting to buy a stand!